What was Asa hiding from her friends? That was finally revealed on Shahs of Sunset Season 6 Episode 6 when the ladies went for a group lunch and she dropped a revelation on them. Did the revelation make her grow closer to her friends, or further apart? Meanwhile, the boys decided it was time to sit down with MJ to ensure she was making the right decision about her life. 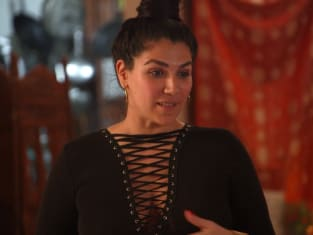 Use the video above to watch Shahs of Sunset online to get up to speed with the latest drama for the residents of this hit Bravo series.